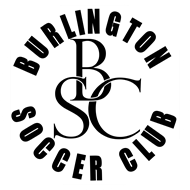 We are offering Supplemental Tryouts for all age groups in Burlington Soccer Club for the Spring 2019 season. We have an open evaluation process; meaning any one player can attend our practices for an indefinite period of time, determined by the age group coach, so each player can be evaluated properly. In the Academy age groups (U6-U10) the evaluation is simply to identify what age group they will be included for the Spring season. In the Travel team age groups U11-U18 the evaluation is a tryout to identify either what level team each player may belong in or if if may not be the correct fit currently with any one age group or team. Check out this Soccer club team 'Supplemental Tryouts - Spring 2019' with Burlington Soccer Club!